Helloooo there! 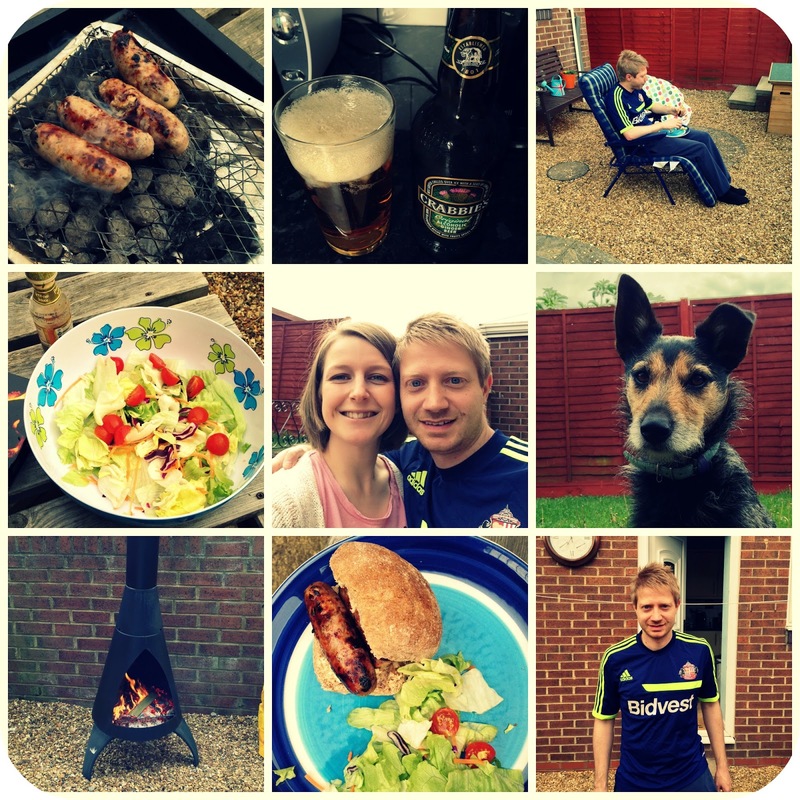 Just a quick post today, to show you all what I got up to with my Bank Holiday Monday...what did you do with yours? We started our day by heading up to Newcastle, to the 'Newcastle Does Vintage' event at the Theatre Royal. 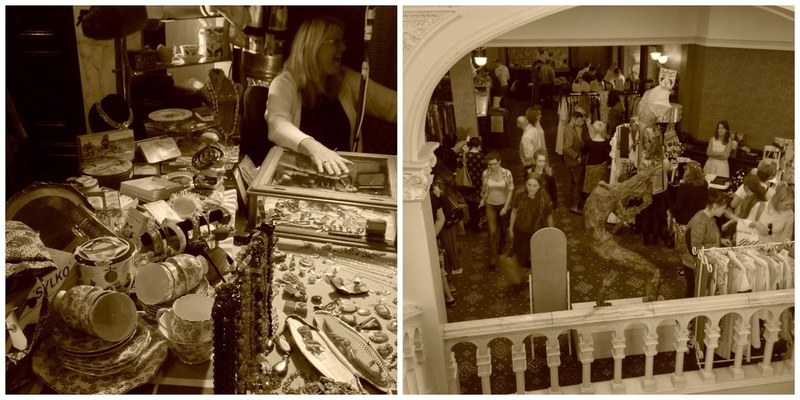 I love a good rummage around a vintage fair, but I didn't manage to hunt any bargains this time, although there were three floors worth of stalls! I did get to see my lovely friend Angela from Scout Vintage whose stall was definitely the most reasonably priced of the whole fair. If you haven't checked her shop out yet in Sunderland then I'd really recommend it (as followers of this blog will know only too well!). My mister was like a rabbit in headlights at the fair, and bless him it was so busy he didn't even know where to stand whilst I rummaged as there were so many people there! So we made a swift exit so he could browse the shops. 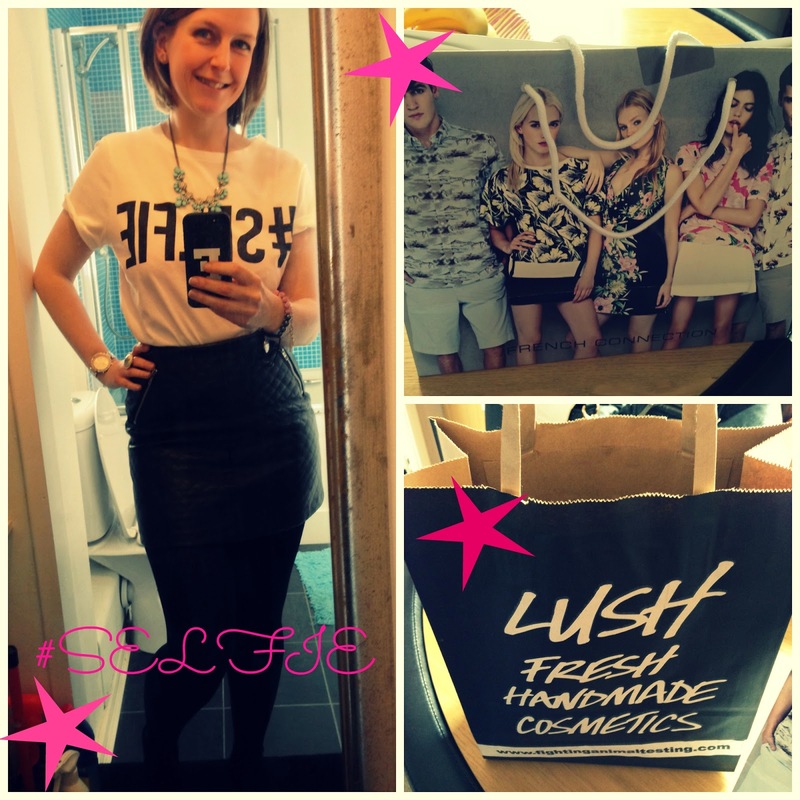 I headed back to French Connection, as I couldn't stop thinking about how much the #Selfie tshirt I saw at the #Canthelpmyselfie event would go with my leather skirt, so decided to make a cheeky little purchase as I've never really bought anything in ages with saving towards Paris. My mister also treated to me to a mini lush haul where I got an 'Amandopondo' bubble bar, and 'May Day' and 'Granny Takes A Dip' bath bombs. I haven't tried the bombs before, but I love 'Amandopondo', it smells gorgeous! You can buy yours here and I promise to review the other two as soon as I've tried them! After a day of shopping, we decided to make the most of the weather and end the day with a mini-BBQ, even Jay-Jay was excited once he could smell the sausages! I love busy Bank holidays, but there's nothing better than coming home and chilling out...and the food was pretty good too! Follow me on the usual links Facebook, Twitter, Instagram and Bloglovin'. The Vintage Fair sounds amazing! Was it still on on Monday? I should have gone, I was sat in my flat sulking cos Simon was away on a stag do.